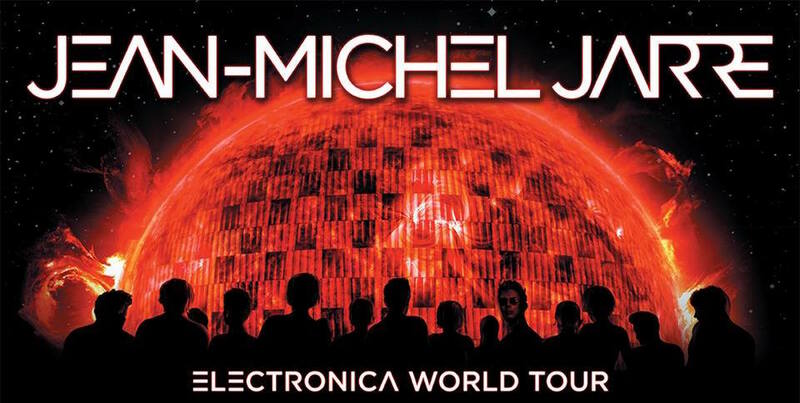 Father of synthpop, Jean Michel Jarre, is coming to Glasgow for a performance at The Glasgow Hydro this October! 2016 will see The Godfather of Electronic Music, Jean-Michel Jarre, back in Glasgow with a spectacular live show at the SSE Hydro for the first time in six years, on the 14th of October 2016. The nationwide arena tour scheduled for October will be preceded by a date at Jodrell Bank in Cheshire and are Jarre’s only UK and Ireland dates for the year. Famed for staggering visuals and the use of cutting-edge digital technology, which has been seen by millions of people around the world, the new live show promises yet again to be a truly immersive musical journey, with Jarre set to showcase brand new music from his stunning two-part LP, ‘Electronica’, alongside classic material from previous albums such as Oxygene and Equinoxe. Widely regarded as a pioneer in the electronic, ambient and New Age genres, Jean Michel Jarre first gained mainstream success in 1976 with the solo album Oxygene. Although he already had several completed works, Oxygene was responsible for his rise to international stardom, attaining a spot at number 2 in the UK album charts. His subsequent albums throughout the 80’s and 90’s mostly charted high in the UK charts, with Revolutions in 1988 also reaching number 2 in the UK album charts. But his music paved the way for a brand new genre, of which we can still see influences in many current artists including Air, Daft Punk and The Chemical Brothers. In addition to the success and popularity of his albums, the French composer, performer and music producer is famous for producing absolutely astounding live performances. Jarre’s record breaking live shows have included start of the art lighting to fully realise his ambitious music. His live concert history is unprecedented – every household in the UK remembers the Docklands Concert – and Jarre has set and broken Guinness World records including one for an audience of 2.5 million in front of La Défense skyline, Paris. Jarre is a performer that has to be witnessed live so make sure you don’t miss out on this opportunity to see him live in Glasgow’s SSE Hydro Arena on the 14th of October 2016!